Small and medium sized businesses increasingly feel that they're vulnerable to cyber threats but most aren't prepared to meet them. A new survey from endpoint security specialist Webroot finds that 96 percent of businesses with 100 to 499 employees in the US, UK and Australia believe their organizations will be susceptible to external cybersecurity threats in 2017. But although they recognize the threats, 71 percent admit to not being ready to address them. 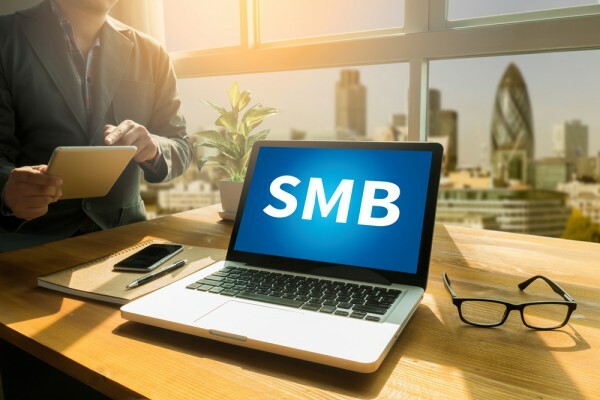 Among other findings are that IT decision makers (ITDMs) at SMBs are most worried about new forms of malware infections (56 percent), mobile attacks (48 percent), and phishing attacks (47 percent). There are concerns about the effect of attacks too, with nearly two-thirds of ITDMs believing it would be more difficult to restore their company’s public image than to restore employee trust and morale. Only only 23 percent of SMBs have a dedicated in-house IT security professional or team. A fifth of businesses have in-house employees whose responsibilities include IT security, and 37 percent use a mix of in-house and outsourced IT security support. "This study illustrates the general lack of preparedness for security around the globe," says Charlie Tomeo, vice president of worldwide business sales at Webroot. "Small- to medium-sized businesses face just as many threats as larger ones, but are often at a disadvantage because of their lack of resources. Given the recent spate of ransomware attacks, it is crucial for these companies to shore up their security and lean on the expertise of an MSP for a solution to combat threats from multiple vectors." 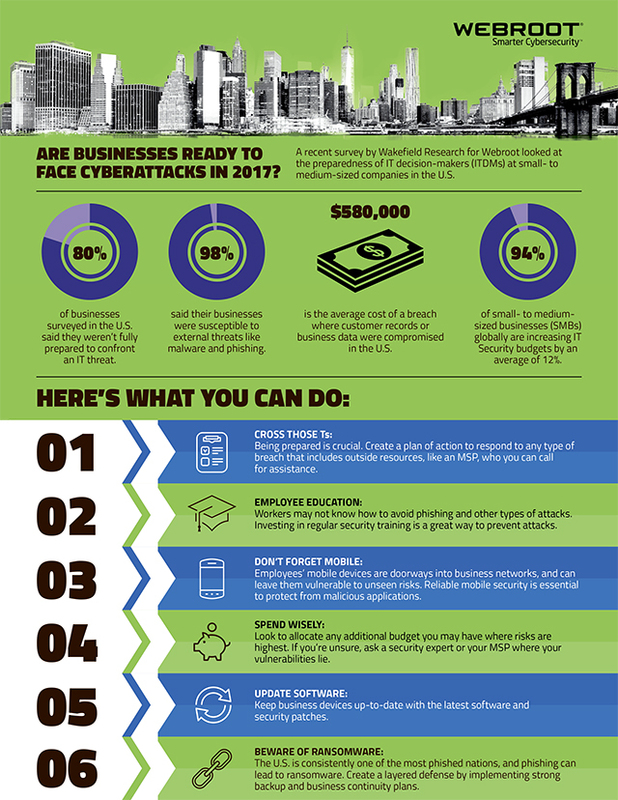 You can download the full report from the Webroot website and there's an infographic with information on how best to defend against attacks below.